A few weeks ago I was contacted about becoming a partner with Formulate. 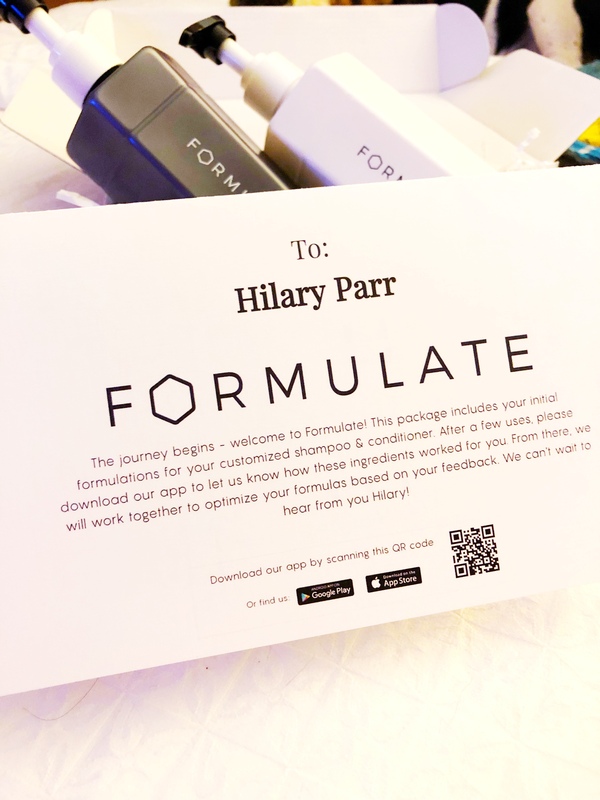 Formulate is a company that helps provide you with personalized haircare products. There is something so nice about having the opportunity to have a product specially tailored to your needs and wants. I knew immediately that I wanted to work with them! I’ve received my shampoo and conditioner a few weeks ago and I’ve started using it to see how it works. So far, I love it. 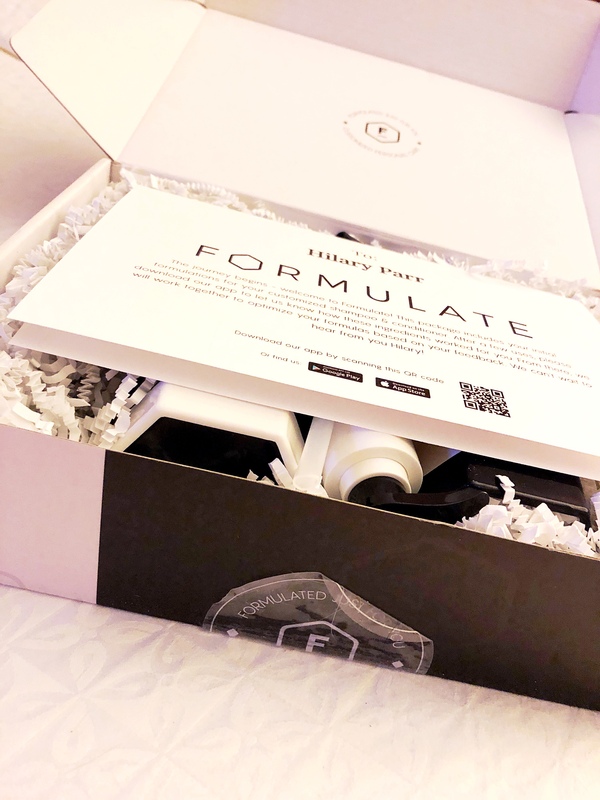 I wanted to give a full review after a little more testing…but today I wanted to share the process and why I love Formulate so much. The personalization of Formulate makes your haircare needs easy to access and take care of. Make sure you read until the end because I’ll be sharing a way you can enter to receive a free set of personalized Formulate haircare. I know what you’re thinking, “what makes Formulate better than any other shampoo and conditioner that you could buy at the store?” Well, I’ll tell ya, friends! Your shampoo and conditioner will come perfectly tailored to your haircare needs and environment based on the questions you answer. Not only that, but it will evolve with you. If the first set doesn’t quite match what you were looking for then they will help you tweak your formula to keep on creating the best possible outcome for you and your hair. All of their formulas will come with good, wholesome ingredients. Let me share a few things about the ingredients. 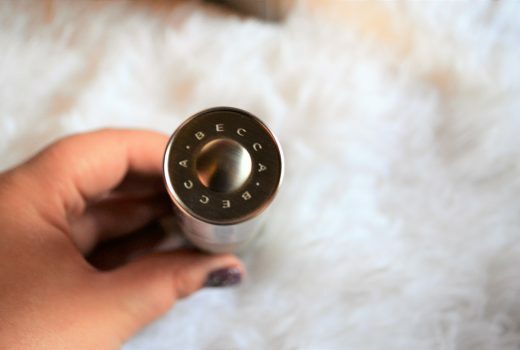 Why do I love Formulate? We all have different hair, environment, and needs. 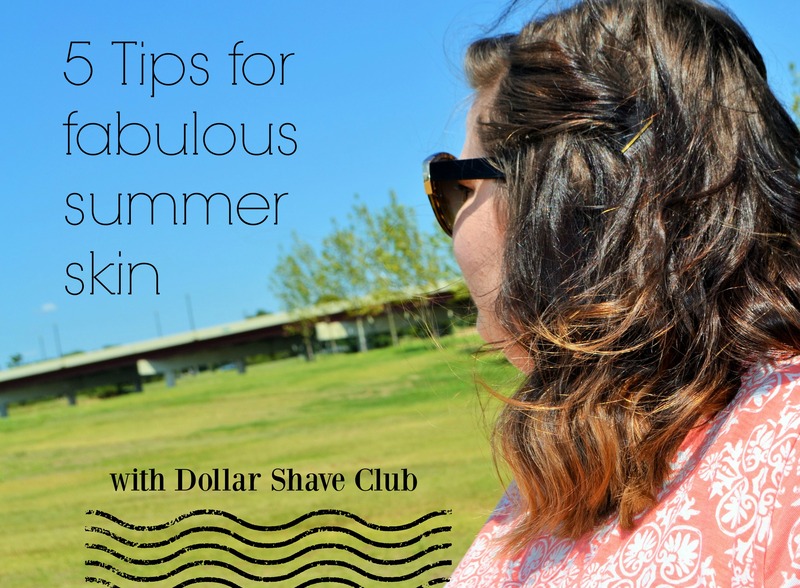 My hair is thick, fairly coarse, with dry ends but more oily roots. What I loved so much is that after their questionnaire, they helped me tailor it to my hair personally. Not even just “this is for hair that can be dry” nope- it’s for my hair specifically. Not only does what goes into the formula is what I pick, but the smell is as well! I’m pretty picky about what smells I like in my products and Formulate gave me so many good options. Sometimes real natural haircare can smell funky…but I chose “freshly squeezed” which contains tangerine and sweet orange. The smell is already one of my favorite parts of the set. 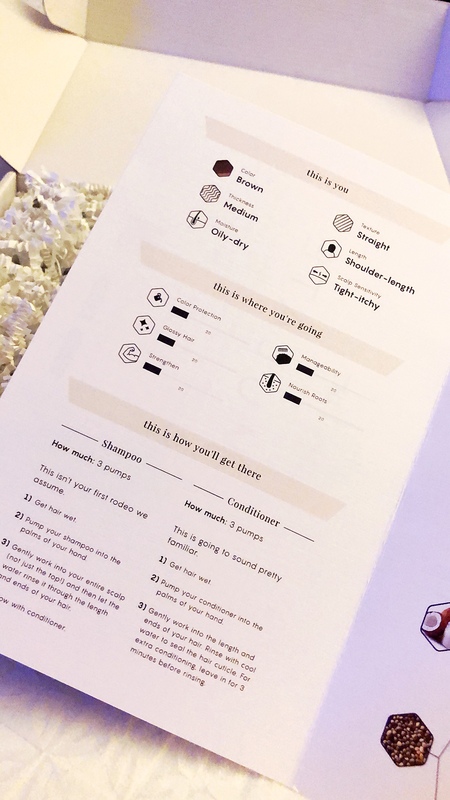 Step 1– you will answer basic questions such as your age, gender, and about your current hair. Here is an example of some of the questions you will be asked to answer. Step 3 – The last set of questions are what you are wanting to work towards. AKA what do you want these products to do for your hair. You’ll answer questions like these. You will choose 1-5 goals for your haircare set. These goals include anti-frizz, curl definition, nourish roots, volumize, strengthen, and many more. This set of questions is very important because it will be what is used to decide what ingredients they use in your set. Lastly, you will choose a fragrance and how much fragrance you prefer. There is a fragrance for anyone! From fruit smells to ocean vibes, there are many awesome choices for fragrance. Once your personal formula is made, you’ll be sent your shampoo and conditioner. Their packaging is A++. The bottles come with pumps which are so nice and a great thing to have on haircare for the shower. You are also sent a pamphlet explaining what all is in your formula and why it’s in there. 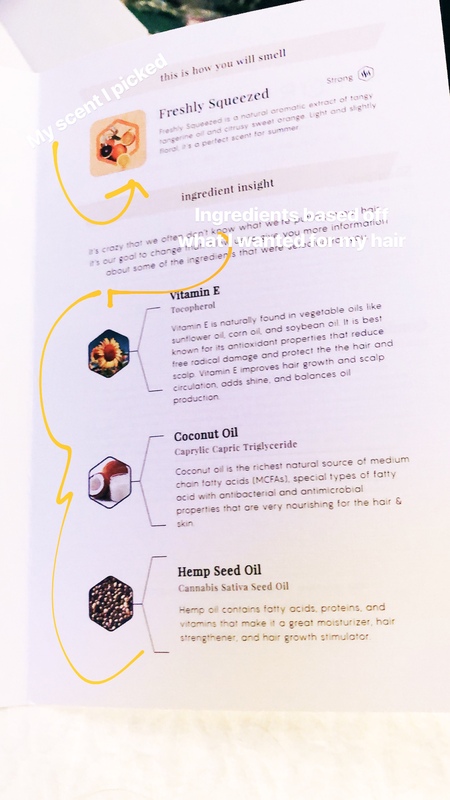 Formulate does a great job of explaining why each ingredient was chosen and what it will do to benefit your hair. 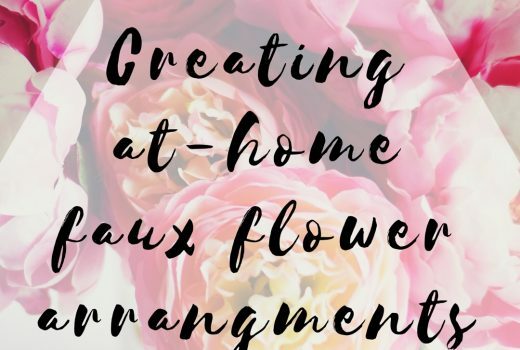 Take a look below at my pamphlet. One person will win a personalized set that includes a shampoo and conditioner. Everyone who enters will receive $5 off their order!